Miss Kitty's Fishing Getaways is a full service property management company for vacation rental homes in the Rockport, TX area. We are a family owned and operated company dedicated to homeowner relations as well as guest services. We are well known in the industry and well trusted by home owners and guests. Our goal is to give you the personal service and attention to detail that a small company can offer while also providing the latest technology and marketing strategies of a large corporation. Miss Kitty's has been in business since 2004 and continues to be a leader in the vacation rental industry. Check out our guest reviews! 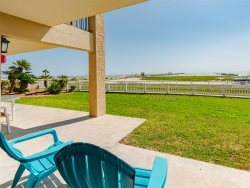 Whether you are in need of property management services for a single family vacation condo or home, multiple homes, or a multi-unit complex, Miss Kitty’s Rockport property management services will align our goals with yours. We are here to ensure that your property is consistently rented, and that the return on your investment is maximized. Arrange for repairs, routine maintenance, pest control, lawn services, etc.